As a cost-effective and versatile option, many choose concrete for their hardscaping projects. Whether it’s a patio, a walkway, or even a driveway, concrete is durable and long-lasting. However, it does have the ability to sink over time—and the more this occurs, the more problematic it can become. Not only is uneven concrete an eyesore but it’s a legitimate tripping hazard as well. 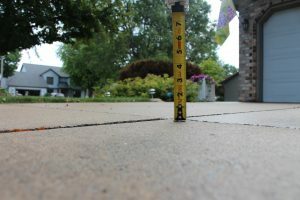 If you have a property with uneven or sinking concrete, then you may be looking for a “concrete leveling” option. If that’s the case, then poly jacking just may be the solution for you. Poly jacking, which is more formally known as polyurethane concrete leveling, is the process of injecting polyurethane material into small holes made in your concrete by a professional. The material will then rapidly expand in order to level out the surface of your concrete slab. 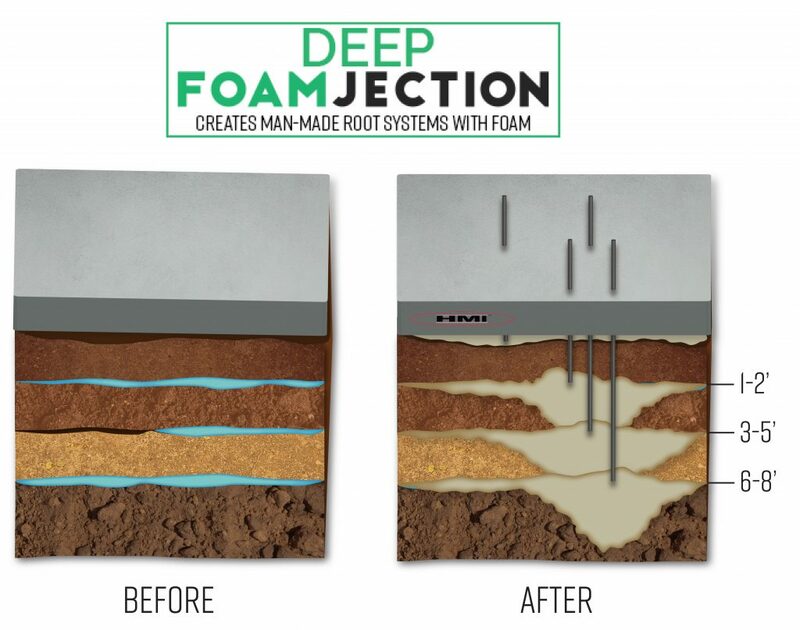 While raising concrete has typically been performed with a process called “mudjacking,” there are a few reasons why poly jacking is actually the better option. For one, the drilled holes are smaller—only about the size of a dime, whereas with mudjacking the holes are about the size of a silver dollar. Similarly, fewer holes are often needed with poly jacking. Plus, polyurethane is simply a better product than the mud mixture used with mudjacking. It’s less messy and overall more effective due to the rapid rate at which it cures. While poly jacking does cost a little bit more, in the end it’s worth that extra investment for an overall better job. 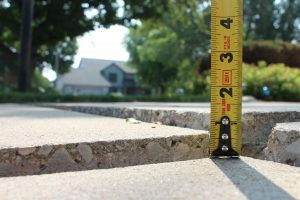 If you’ve been living with uneven or sinking concrete, now is the time to take action and get it fixed before it causes you more headaches down the road. With poly jacking, you can protect the investment in your hardscaped areas by restoring them to the way they ought to be. With this effective solution you’ll be able to get more use out of your spaces knowing that they’re functioning exactly as they should.